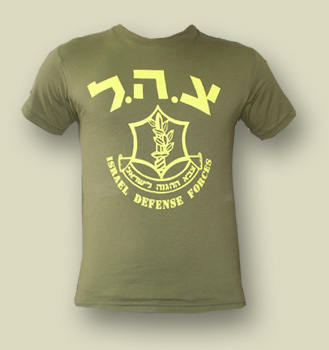 Tzva Hagan Leyisrael, is the official Hebrew name for the Israel Defense Force, or how they are popularized in the world - IDF, which comprises the Israeli Army, Air Force and Sea Corps. The Israeli Army was founded May 26, 1948 after the establishment of the state of Israel "to protect the inhabitants of Israel and to combat all forms of terrorism which threaten the daily life". The Israeli Army succeeded the Haganah (in particular, its operational branch, the Palmach) as the permanent army of the Jewish state. It was also joined by former elements of the Jewish Brigade that fought under the British flag during World War II. After the establishment of the State of Israel, the two Jewish underground organizations, Etzel and Lehi, joined forces with the Israeli Army in a loose confederation but were allowed to operate independently in some sectors until the end of the 1948 Arab-Israeli War. After the War, these two organizations were disbanded, and their members integrated into the Israeli Army. The modern Army came into existence during the period from 1949 to 1956 by experience gained through regional conflicts with their Arab neighbors. From 1956 to 1966, the Army faced less conflict and used this time to purchase new equipment and change from an upstart Army to a professional fighting force. Following these developments, the Israeli Army increasingly emerged as one the most powerful and modern military forces in the world.